This is the nice woman’s leather bag consists of two part of different colors. Each of them is decorated with the suitable embroidery sample. The top part of light brown color is added by the floral ornament. 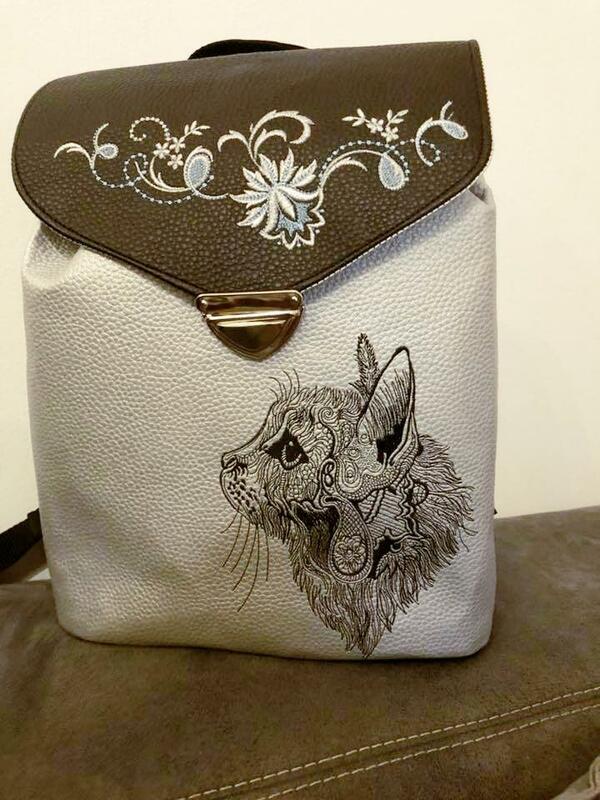 The white body of the bag has Fancy cat sketch embroidery design. It is the original embroidery which definitely is the highlight of this work piece. It reminds the picture drawn by the thin black pencil.